The recent news that Boy George has stepped in to cover old friend Pete Burns’ funeral costs has highlighted a problem that many families face when they lose a loved one – there’s nothing there to pay for a decent burial (or cremation, or service, or headstone…). While Burns’ family were lucky that he had a celebrity pal to step in, most of us will not be that fortunate. And with the costs of even a basic funeral rising every day, failure to plan ahead can create additional stress for families at a time of bereavement. But there is a way in which you can protect your loved ones from this extra burden – and fix your funeral costs at today’s prices. 1. We can include your funeral wishes in your Will – choose how you want to be remembered by selecting favourite songs, poems, leaving letters and memories to be shared at your memorial service. We can also set down your wishes with regards to burial, cremation, or even leaving your body to medical science. Do you want a Humanist service? Perhaps you’d prefer mourners didn’t wear black? Or you’d like donations to a favourite charity instead of flowers? From a traditional service, to arranging to have your ashes sent into space, ensure your wishes are known and respected with a funeral plan included in your Will or Estate Plan. 2. 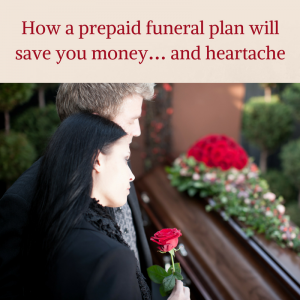 We can arrange Pre-Paid Funeral Plan, fixed at today’s prices. As well as keeping the costs down and minimising the burden on your Estate, it will make the whole process simpler for your loved ones at what can be the most stressful time of their lives. Pay upfront, or spread instalments over as long as ten years. You can insure your family against a legacy of debt, stress and shame and take care of them – even after you are gone. With a network of legal experts across the UK, we can put you in touch with a Just Wills consultant close to you. They can come to your home, or a convenient location, and talk to you about your individual needs and wishes. And once your plans are in place, the next steps are up to you: tell your loved ones about your plans, so that there’s no surprises or misunderstandings; make sure that they know how and where to access your Will or Estate Plan. And then carry on with enjoying the life you have, secure in the knowledge that you have left a legacy of love and protection to your nearest and dearest, to last beyond your lifetime. If you’d like to book a free consultation with one of our legal experts, book online or call 01342 477 102 and quote ‘Legacy of Love’.